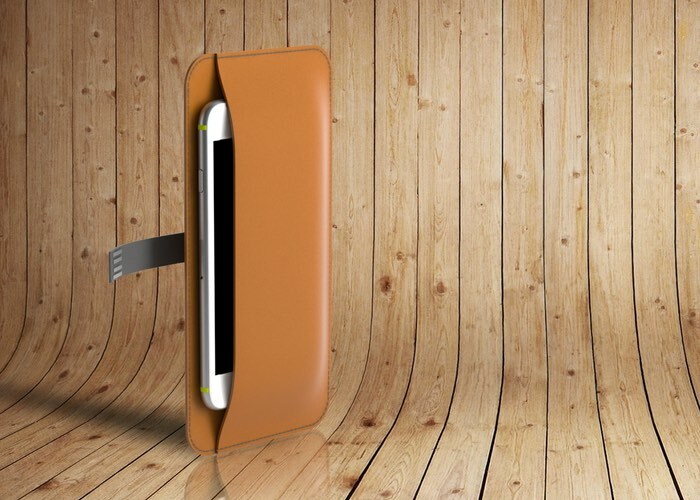 French designer company De Rigueur has created a new wireless smartphone charger called the Connected Sleeve, that has been created to provide a stylish and luxurious way to keep your smartphone topped up with juice whilst away from the grid. The Connected Sleeve consists of a handcrafted leather wallet that is fitted with an embedded a 4,500mAh battery and wireless charger that can be used to keep your smartphone topped up when required. Watch the video below to learn more about this unique portable wireless smartphone charger which is taken to Kickstarter to raise the required funds it needs to make the jump from concept into production. Its design team explain little more about its inspiration. What was striking for us since we began this adventure, is how the technological world we created changed our habits and created new worries and needs. From battery charging to the WIFI, these needs sometimes overcame the search for food or water in our modern societies. We thus thought that quality goods we acquire after years of savings could become not only tools for personal fulfilment, but new weapons for the modern knights we all are. That is why we decided to innovate in the beautiful and very traditional industry of French handcrafted leather goods, by combining it with the powerful services provided by the new technologies, in order to become the first House of “Connected Haute Maroquinerie”. To make a pledge from just €99 offering a 60% discount off the recommended retail price of €249 jump over to the Kickstarter crowdfunding website via the link below. Source: Kickstarter / Geek Gadgets.